5 Reasons why you should consider a Professional MUA for your Wedding day. Planning a wedding can be a LOT of fun, but it can also have it’s stressful moments too. It’s important to remember that if you have chosen the right people to assist you on your wedding day, they will do whatever they can to make the whole experience easy and enjoyable. Makeup artists are absolutely no different! I only concentrate on weddings as my business and the reason why is because I wanted to be a specialist in my field and be able to give the absolute best advice I can and guide you through a process where you will feel looked after, stress free and most of all feel completely pampered using all of my tried and tested methods. Wedding Makeup may be the last thing on your mind or you might be thinking of doing it yourself to save money and time. You may be someone who wears makeup daily so you know your comfort zones and might be thinking, it can’t be that hard, right? Or you could be someone who never wears a lot of makeup (about 90% of my clients!) and you are petrified of having someone who may not understand you and what your comfort zones are! If you are in two minds about hiring a makeup artist for your big day here are 5 reasons which might help to make your decision. 1- We know what works and what doesn’t! You may be someone who has your routine with makeup every day, or you might feel comfortable and skilled in that area along with your day to day routine. Alternatively, you might not wear makeup and think that you just don’t feel comfortable paying for a service where you feel as though the bridal makeup artist will come in and trowel it on! Wedding makeup is a whole different ball game from everyday makeup. For example, as a Bridal Makeup artist I have tried and tested many different techniques that will keep your makeup locked down for the entire day and night through all seasons not to mention the hundreds of emotions you will feel throughout the day (and yes, inevitably you will cry with happy emotions!). I also understand how to bring out your best features and can suggest ideas that you may not have even thought of, like your wedding colour palette and what look will compliment your dress. I know exactly what to do to hide pesky dark circles which we ALL have AND how to conceal any blemishes to help create a natural flawless base without the need of truly piling on the foundation. If you don’t wear makeup on a day to day basis then I would enlist a Bridal makeup artist even more so! I absolutely pride myself on making sure that your comfort zones are considered and if you don’t wear a lot, then I won’t put you at unease by applying an uncomfortable amount. There is a balance between flawless defined bridal makeup whilst keeping it natural, luckily that’s my forte! Don’t forget, even if you don’t wear a lot of makeup on a day to day basis, on your wedding day there will no doubt be a photographer so why not still be looking natural but “made up” at the same time for the occasion?! 2- We know what photographs well. This is such an important reason why having a professional makeup artist is essential for your big day. Although I highly endorse your makeup to look fresh and natural, it inevitably must be done differently if you want it to photograph well. On average your wedding photographer may take anything between 1000 – 3000 pictures on your wedding day. Of course, you get a lovely edited down version of pictures however they will be capturing you and your bridal party all day and night. 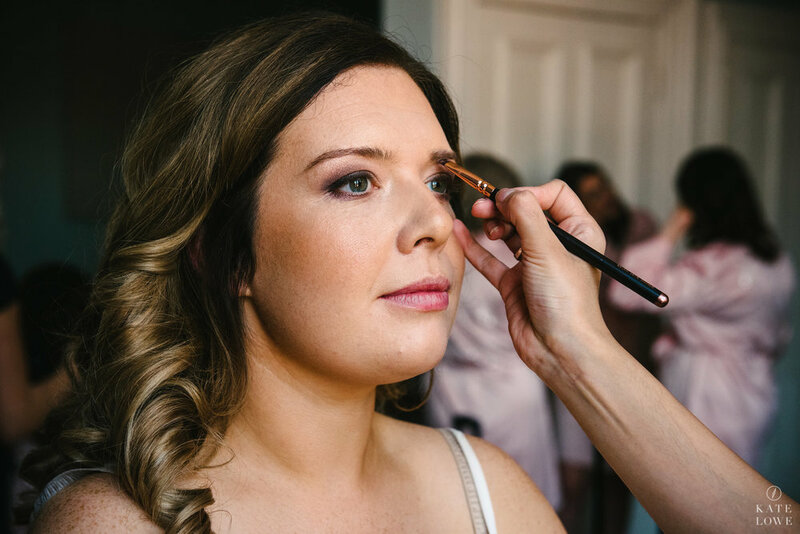 It’s simply not enough just making your own makeup look heavier and that’s also partly the reason why it can take a bit of time for you to adjust to the work of a professional bridal makeup artist. At a glance it may seem a tad overdone (and I will be covering this in a different blog post!) but after it sets in and later and in the pictures, it looks perfect. I completely know and understand what needs enhancing so it doesn’t disappear in pictures and how to not bring attention to fine lines and wrinkles because let’s face it, no one has a filter 24 hours a day following them around! You only get one set of wedding pictures so is it really worth the risk? 3- We do great work, fast! The whole idea is that you shouldn’t be stressed or feel pressured on the morning of your wedding day. Wouldn’t you want to look back and remember just how much fun you had with your bridal party? You might be good at your own makeup but add on the time which will absolutely fly by, your bridal party and mother all wanting to chat, not to mention preparing the dresses, the arrival of the flowers, creating space to get ready, children who may be involved in the wedding and a wedding planner who needs to come in and finalise details. Before you know it, the morning will be over. 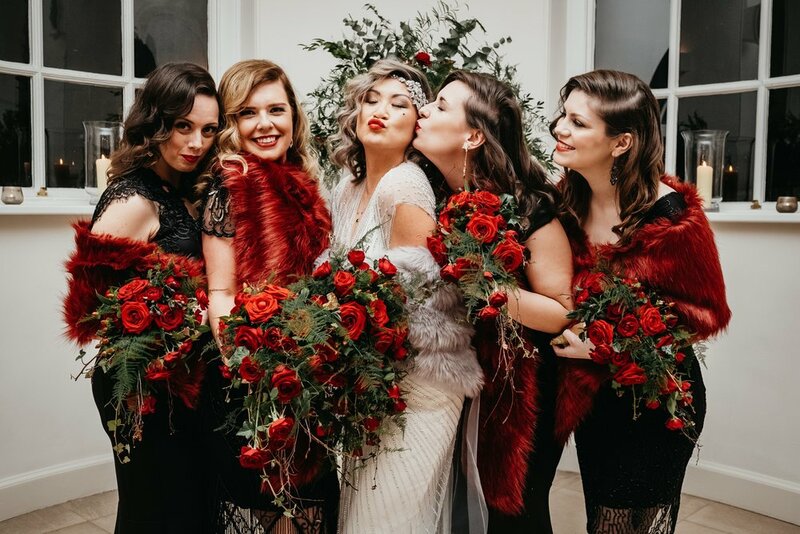 Wedding makeup artists on the other hand, we do well under pressure and we certainly know how to organise people to make sure everyone is ready in a timely manner. Although I think of myself as a laid back and fun individual, boy do I get things done in time. In the entire time I have been a Bridal Makeup artist not one of my weddings has been late because of makeup dramas! What’s also important to remember is that it’s my job to make sure the schedule is stuck to you don’t have to, giving you time to relax and enjoy your morning. 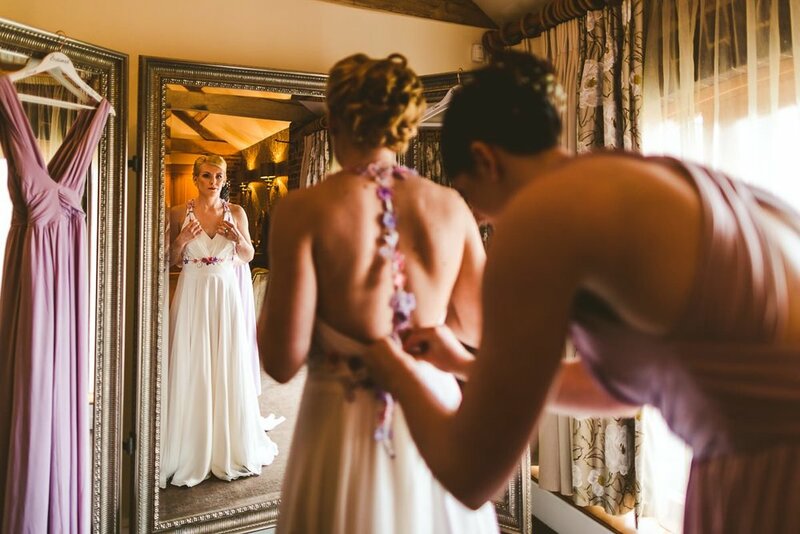 I send over a schedule around 7 – 10 days before your wedding day with my time of arrival straight through to the time I will have completed the final bridesmaids. I ALWAYS make sure you have plenty of time to get into your dresses and I hang about to help with shoes, opening champagne, lipstick touch-ups, attending to the flower-girls and just generally helping in any way that I can before you have to leave. 4- We don't take things personally! You may have a great friend or bridesmaid who is great at makeup and has offered to do your wedding makeup. I know that for a lot of people, the knowledge of having someone you already know do your wedding makeup can make you feel super comfortable. I would say though (and I speak from experience!) That having a close friend do your makeup can feel far from comfortable if you don’t like what look they have created. We are a nation of being polite when we don’t like something (this is me every time I go to the hairdressers and they give me layers I told them I don’t want..) because they don’t want to hurt someone’s feelings and this is even harder if it’s one of your nearest and dearest so would you want that pressure on your wedding day? I am guessing you really don’t! When you pay for a makeup artist you are not only paying for their knowledge, but you can be as picky as you want. Unlike having a bad haircut you can ask them to re-do things over and over without having to worry about hurting their feelings—things you might feel too polite say to a friend or relative that you’re not compensating which could result in a sub-par makeup look on the most photographed day of your life. Me on the other hand, It’s my job to hear your feedback and make the changes needed to create the perfect wedding makeup specifically for you. One shoe doesn’t fit all most importantly too I understand that as this is all new to you and not only do you want to get it right but feel comfortable in the process. Me and you are on the same team, so not matter how many tries it takes, we will work together to get it right and it will ALL be worth it! 5- We know how to recreate makeup from your inspirational images on pinterest but keep it still looking like you! Although I am a fan of looking at inspirational images to get ideas of how you want your wedding makeup to look, you must take into consideration that the images may be edited heavily and to remember that they look completely different to you with different features and skin tones. As an experienced Bridal makeup artist I have a lot of knowledge on how to adapt a look you have seen but making sure that the finished makeup look still looks like you. Plus, I can advise by going through what techniques they might have done to create that look in the picture so you can ask yourself if it’s something which you would consider doing yourself. I can honestly say that at least 8 times out of 10 when someone wants me to recreate the makeup in a picture, they like really don’t like it on themselves. So, bare this in mind when you are looking for inspirational pictures, if it has a Smokey eye, is it the darkness you want or do you just like the way the eye is defined? Professional makeup artist has a solution for everything so make sure there is plenty of discussion and communication beforehand! There are many blog posts about how your wedding makeup should look but essentially there is no right or wrong answer except to still feel and look like you but at your absolute best. Another thing to mention on this topic which is key to the big day itself that you are not only paying for a professional Bridal Makeup Artist to get it right at the trial but to have the piece of mind that they can recreate it with no hassle or stress on the day of the wedding. Want further advice on how I can help? I am more than happy to discuss your ideas as you will inevitably have questions and I can guarantee that if there is something that is worrying you I will be able to find a solution to the problem! Never feel like you can’t reach out even if it’s to get some advice. No one is obligated to book after a friendly chat but quite often just talking openly and asking questions will make you feel a million times more comfortable with choosing to go for someone professional over any other method. For most people this is the first time you will be having your makeup done not just professionally but also for your Wedding day so lets schedule a time to chat and put your mind at rest!